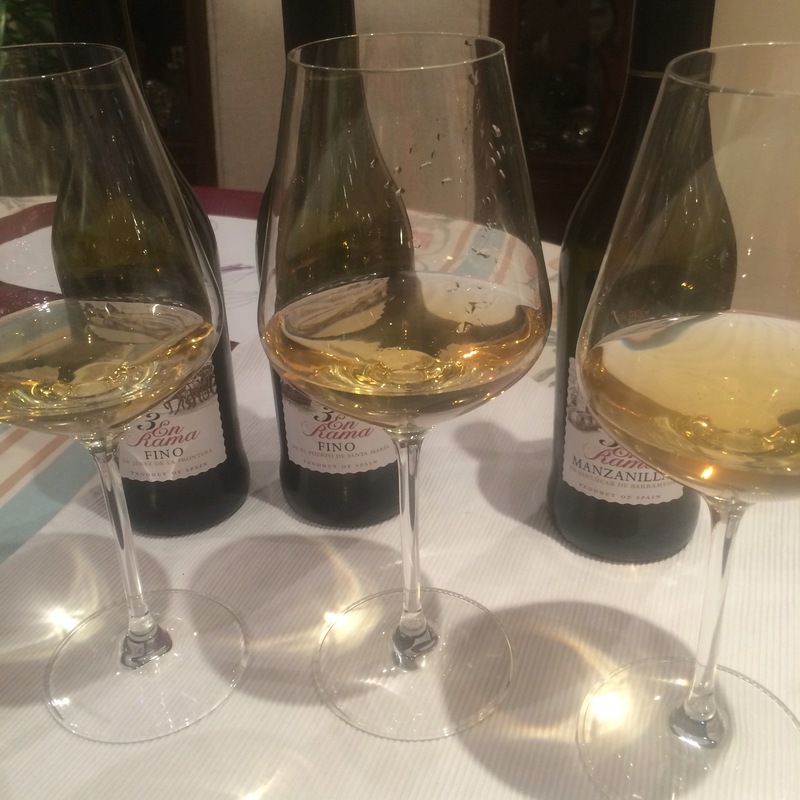 I thought it would be worth hanging on to see how these three wines reacted to a few days after opening and as you can even see from the photo above (with the Jerez de la Frontera left, Puerto de Santa Maria centre and the Manzanilla right) they have reacted in quite different ways to the experience. First, the manzanilla which when fresh opened was crystal clear with a tinge of green is now cloudy and has taken on a shade of orange. I am not surprised it shows the most evolution – even after one day it had started to go – but it is quite a big difference. There is a definite tinny metalic aroma to it now and signs of age on the palate too. I actually had a glass on day 3 and think it might have been optimum then. Next up the fino del Puerto de Santa Maria – originally my favourite and this has taken the week in its stride with comparative aplomb. It may be a shade darker but it is still crystal clear and the aromas seem to have gained in sweetness. Still really good. Finally the fino de Jerez de la Frontera seems to be the least changed. Less discernible change in colour and it seems zesty and intense compared to the other two: a real zingy salinity to it and still that bitter citrus finish. Nothing scientific about all this of course but I will make a mental note to not let manzanillas sit around too long – or maybe I will try and save a glass of the next couple to see if there is a pattern. As to the wines themselves, the fino del Puerto still seems to have a wider range of expression than the others, but all three are delicious.